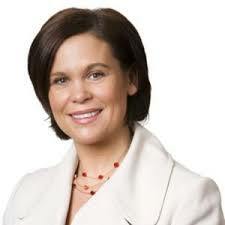 Sinn Féin Deputy Leader Mary Lou McDonald TD has said comments from Minister Leo Varadkar to RTÉ News this afternoon have laid bare the government’s privatisation agenda and show the ideological reason why Shane Ross has refused to intervene in the Bus Éireann dispute. Minister Varadkar told RTÉ News that Bus Éireann is not essential and that most of what it does could be done by the private sector. “These comments reveal the ideological reason why Transport Minister Shane Ross has steadfastly refused to intervene in the Bus Éireann dispute. “The government’s privatisation agenda has been laid bare for all to see. 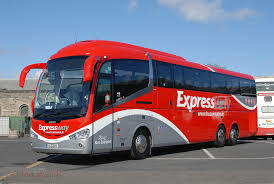 “What Minister Varadkar and indeed Minister Ross fail to take account of is the service Bus Éireann provides for our citizens along non profit making routes where private operators will not go. Are these people to be sacrificed for the government’s privatisation agenda? “The reality is that Shane Ross and this government are happy to see the country brought to a standstill if it brings the privatisation of Bus Éireann a little bit closer. “So the travelling public and those workers who are risking their livelihoods on the picket lines are simply being used in an ideological campaign to privatise our bus routes.